My niece's middle name is Clementine so I just had to snap a photo of this adorable plate and send it to my sister-in-law. Insert orange (or clementine) emoji here. told me no (I am always trying to purchase all the store display plants) haha. Speaking of planters... 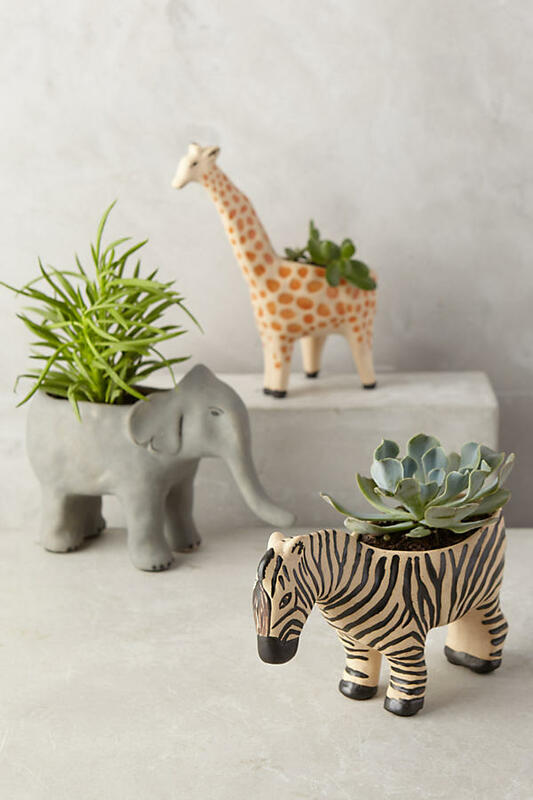 I noted a couple blog posts back about how Anthropologie has some of the cutest planters and I've gotten several of them from here. 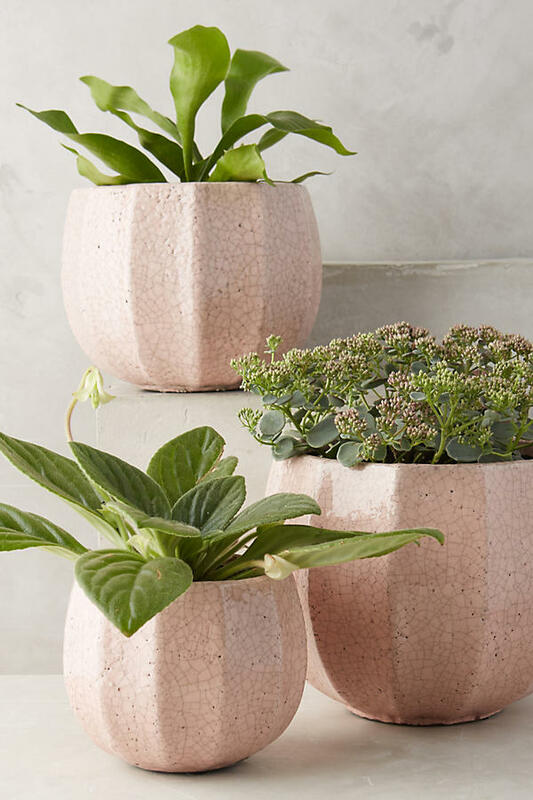 I have a mostly neutral bedroom (white and grey) but am slowly adding some blush pink accents in and so I came away with one of those adorable pink planters. I love it! 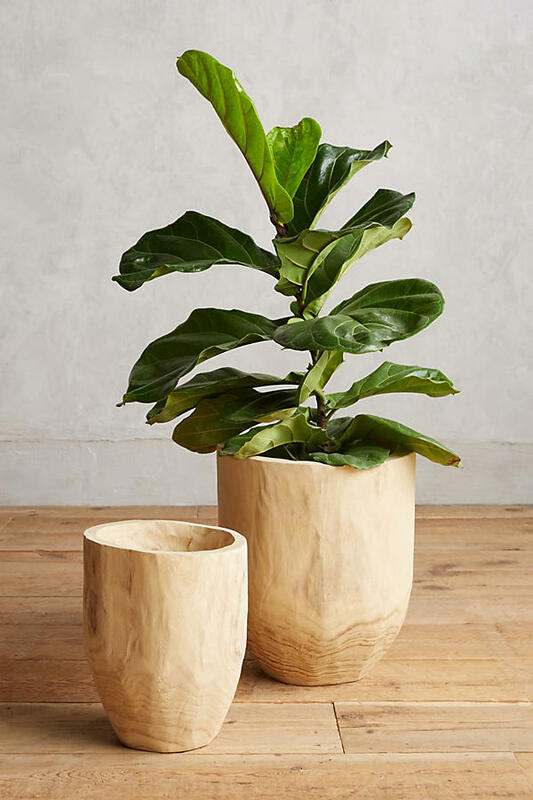 Anthro's planters are very reasonably priced and I like them so much better than most of the options out there. cutie right there and can I have that couch too??? 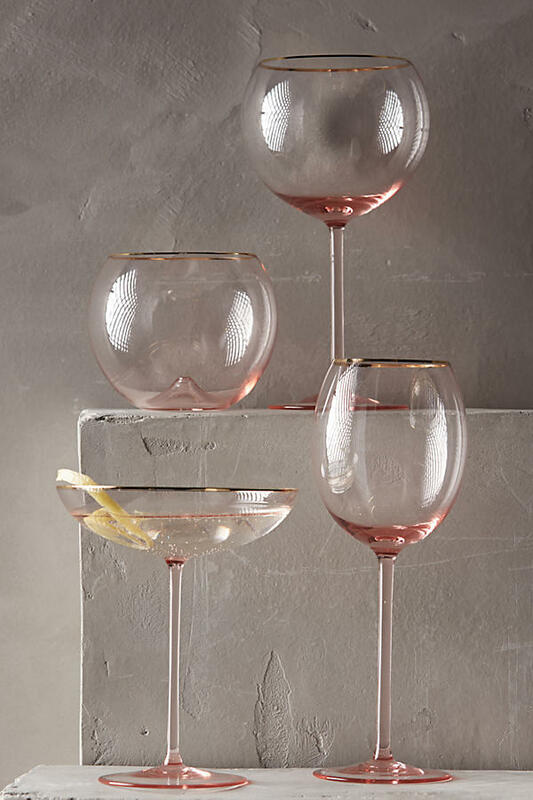 I've adored these pink wine glasses for forever it seems. Love. Love. Love. could fill my house with. Josh even used this Anthro location in his marriage proposal scheme. 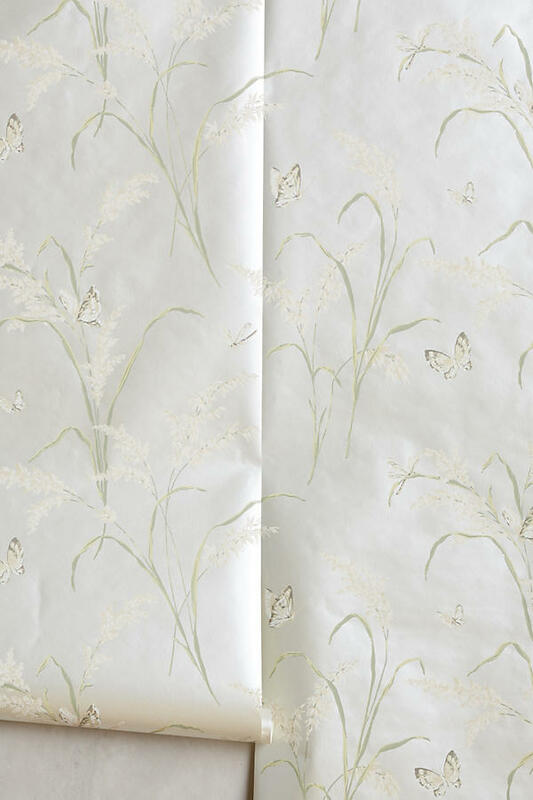 Below I've listed my favorite picks from the spring line. So fun! Hopefully you'll come away with your own inspiration. 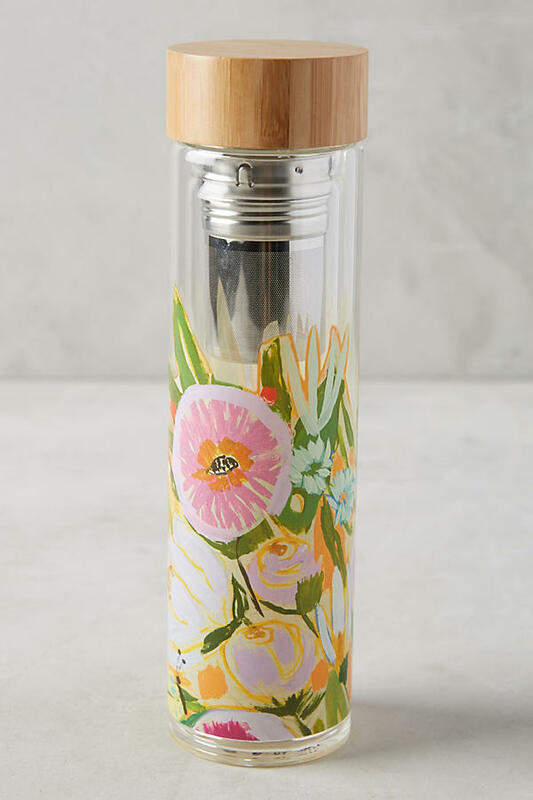 How cute is this floral infuser water bottle? 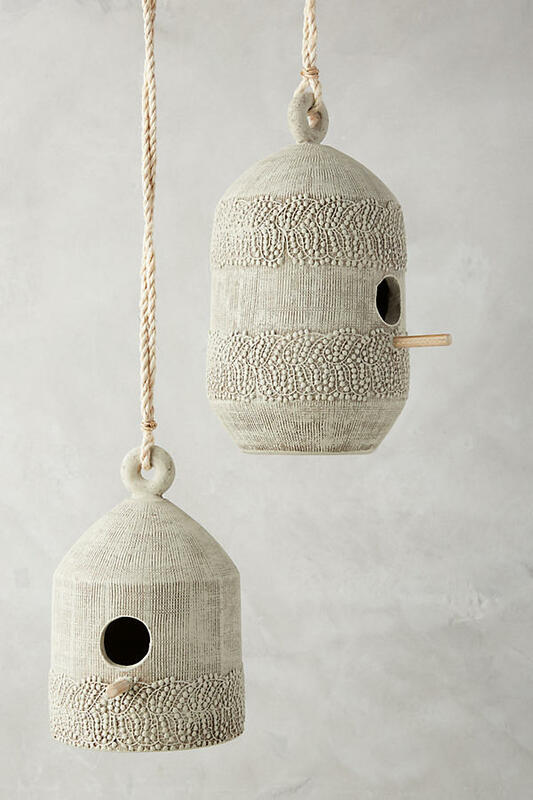 These birdhouses had me at "lace". 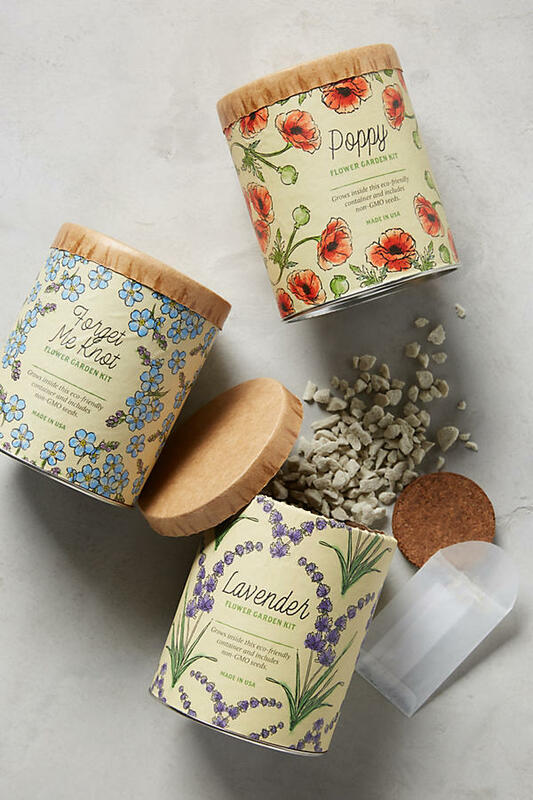 How cute would these garden seed kits be as a birthday gift to the friend with the green thumb? 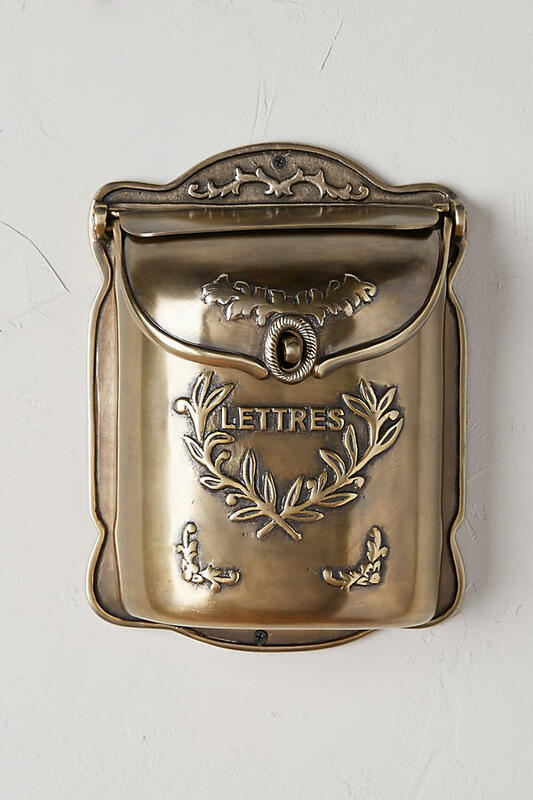 This old soul, letter-writing girl loves the idea of this hanging outside my house. 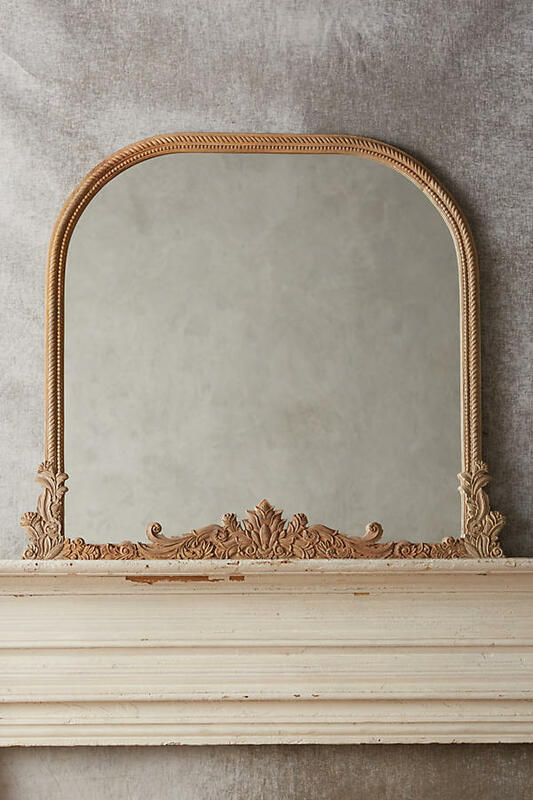 I always love a good mirror. 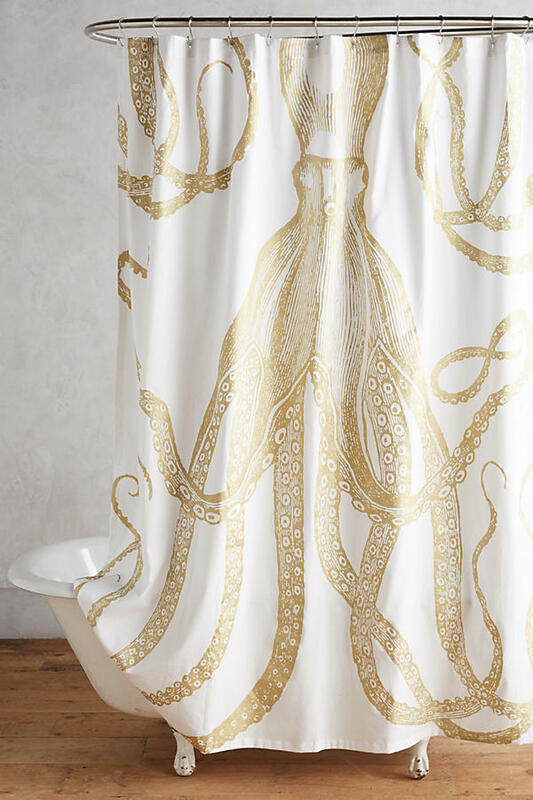 Well, this shower curtain is just plain fun. 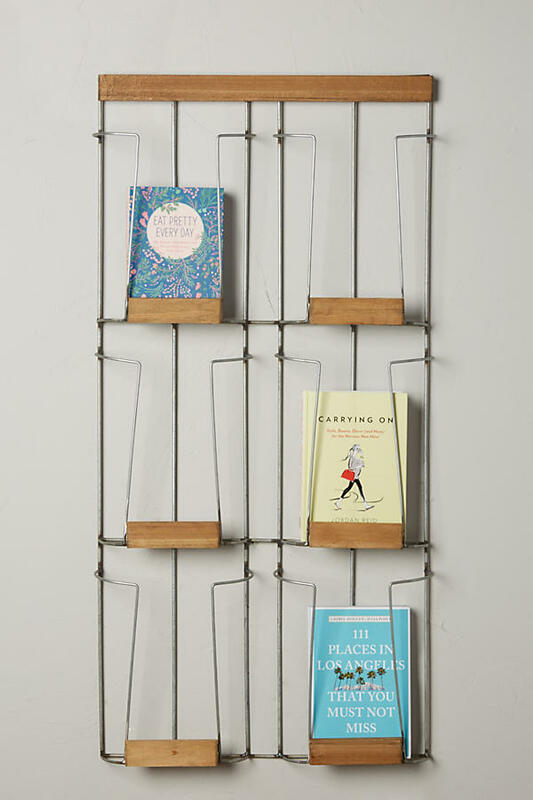 This book nerd was totally geeking out when I spotted this little library shelf. 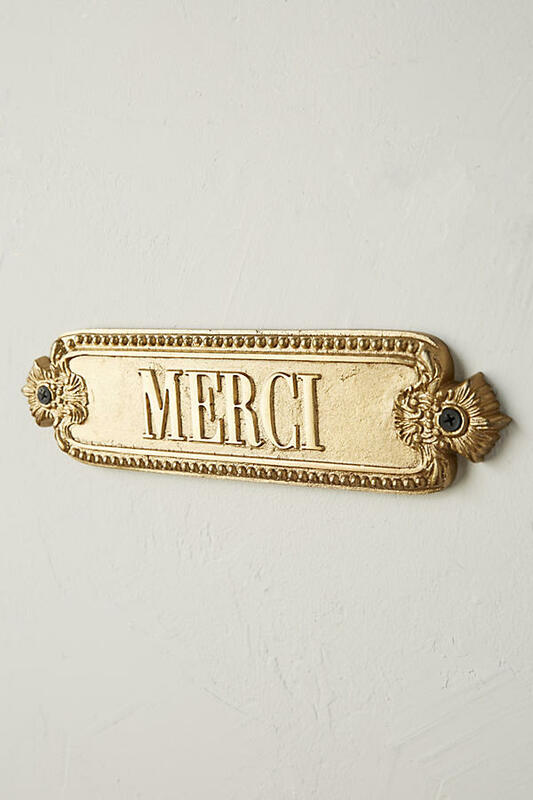 This French cottage sign would be a welcome sight anywhere. Perfectly Parisian. 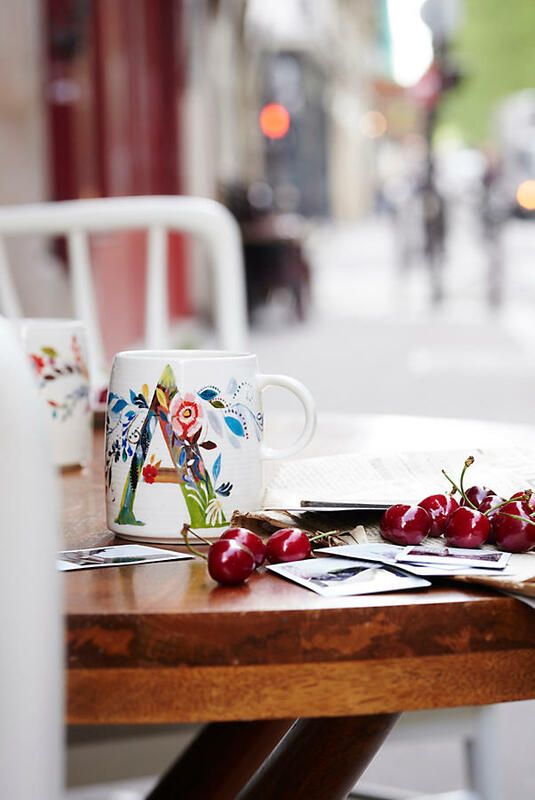 I just had to pick myself up one of these petal palette monogram mugs. I have a feeling we are going to get really attached to one another. 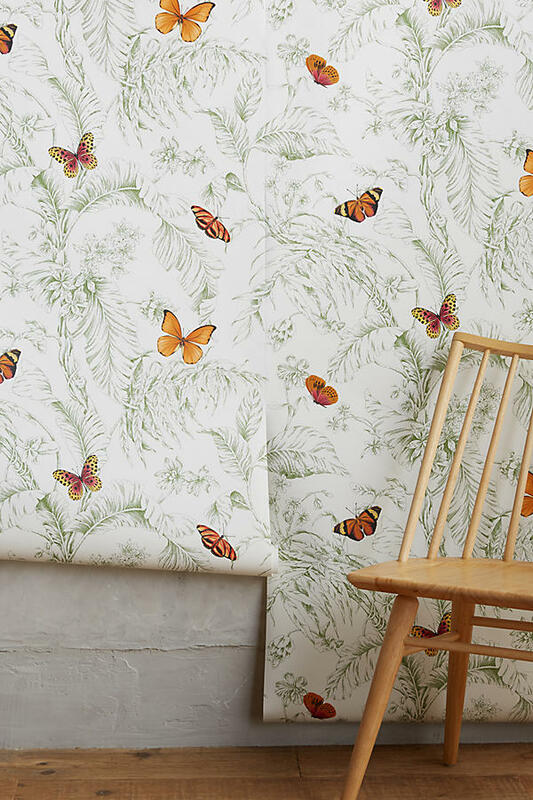 Being an interior decorating fanatic I've always been nervous about the thought but would definitely love to try wallpaper someday. I mean, just look at these! Opera boxes? 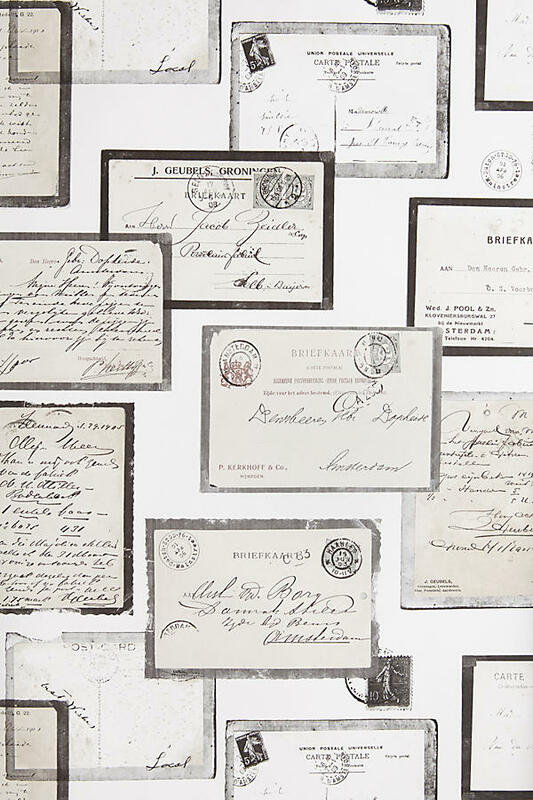 Calligraphy letters? Ahhhh.... 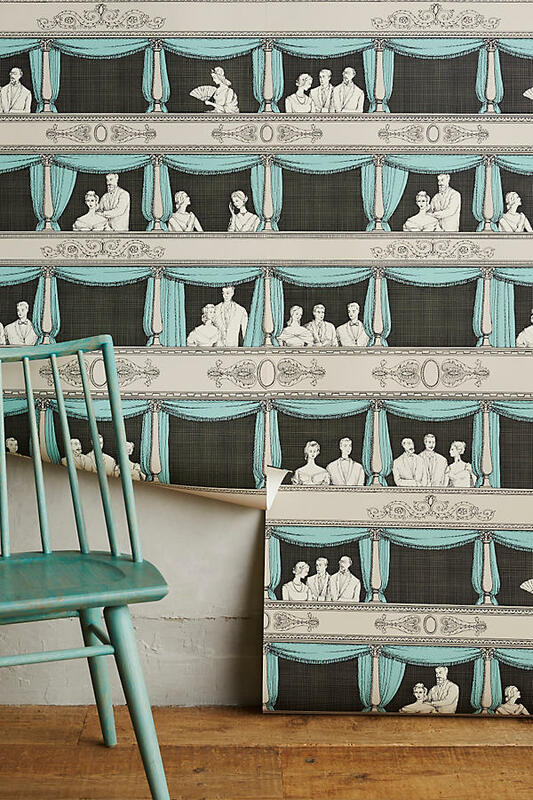 Check out all of Anthro's wallpaper selection here. 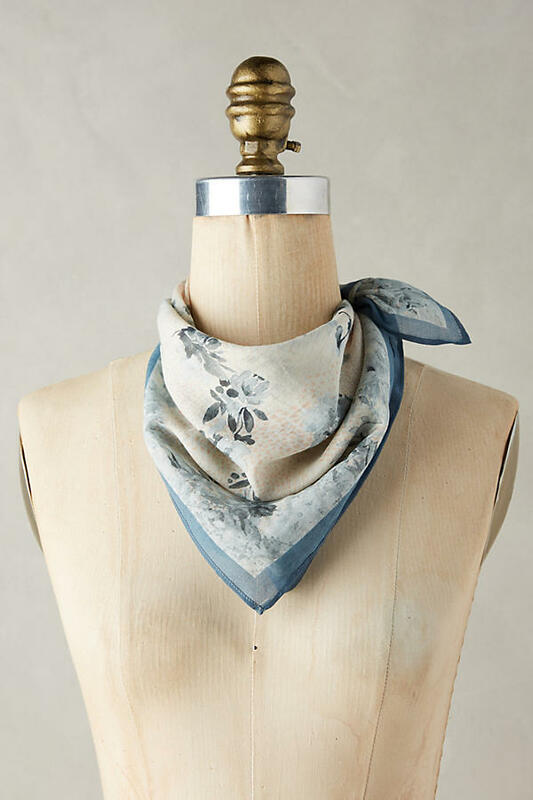 I've noticed that neck and head scarves are really in right now. 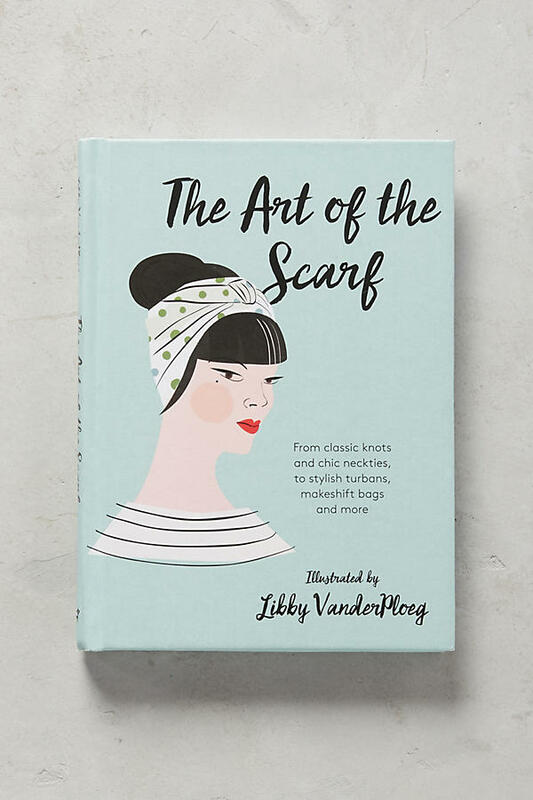 I would love to flip through this book and learn various ways to adorn myself with these accessories. 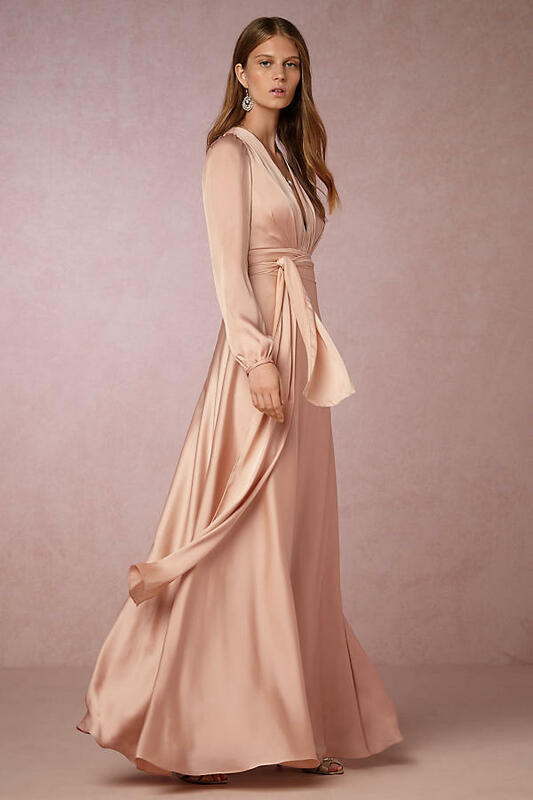 Speaking of which.... this one is so pretty. 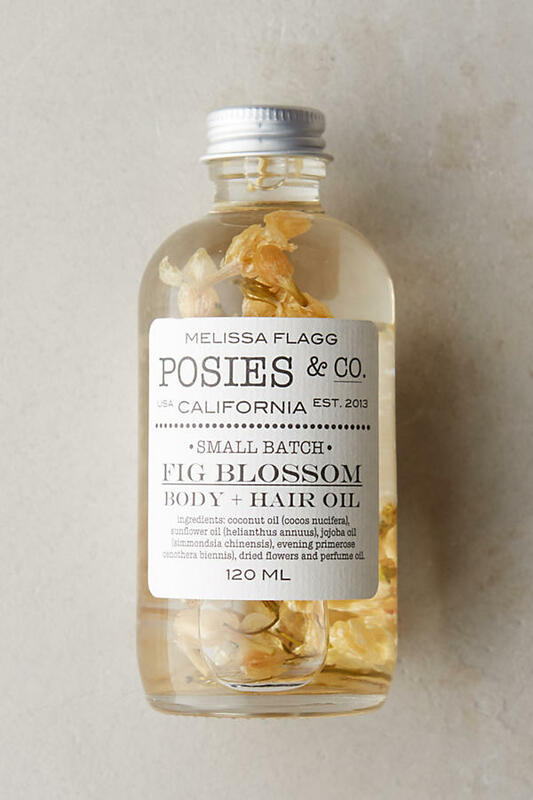 Posies body and hair oil has become my go-to perfume lately. It smells so divine and gives my hair that extra shimmer. 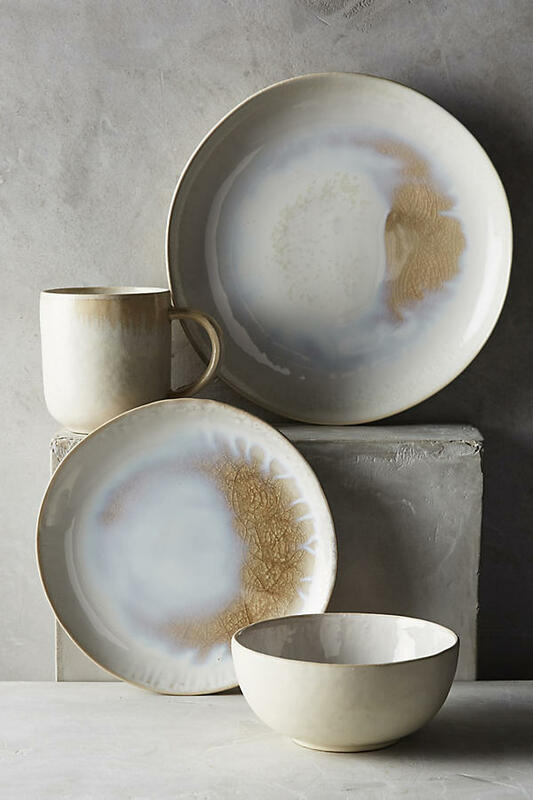 This mineral dinnerware is simply gorgeous. 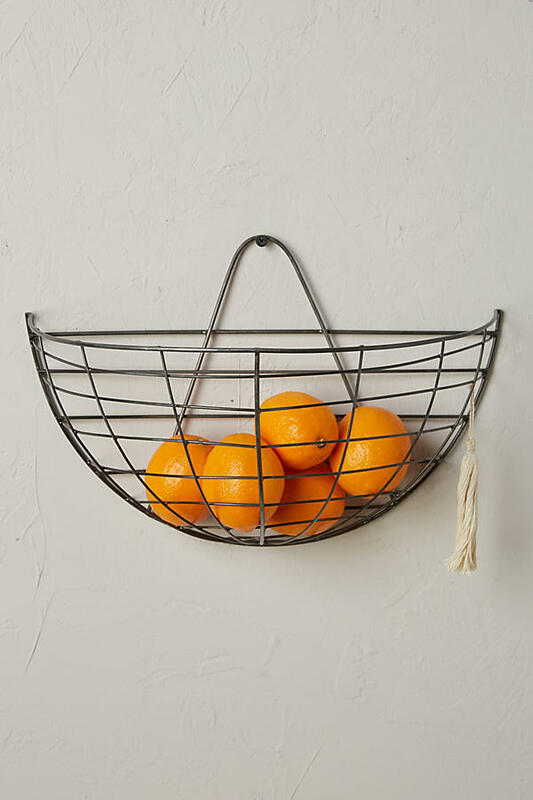 These wire hanging baskets are a great (and adorable) storage option for the kitchen. Pink champagne anyone? These glasses would pair perfect with some. 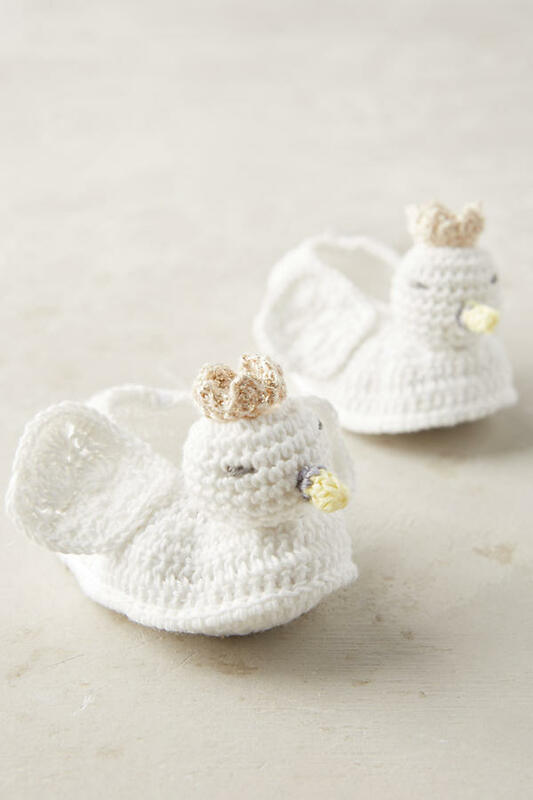 How darling are these crocheted swan booties? I'm almost tempted to get some for myself for my "baby box" I keep meaning to start. It's fun to dream about "someday". I picked up the pink one above and found an asparagus fern to go in it. I'll have to post a picture soon for those curious to see it. I think they go quite lovely together. If you need an excuse to buy more plants than here you go. 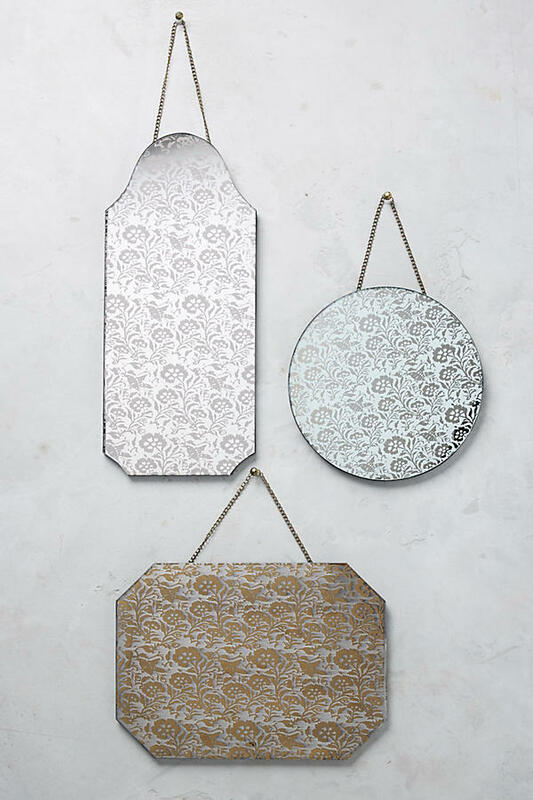 Hope you had fun browsing some of my favorite Anthropologie picks!